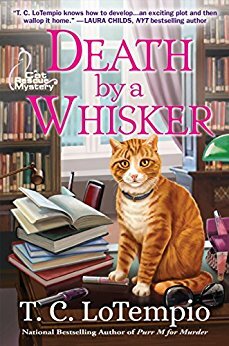 This May, Rita Mae Brown and her feline co-author Sneaky Pie Brown return in their twenty-sixth mystery adventure featuring Mary Minor “Harry” Haristeen, her crime-solving cat Mrs. Murphy, and their animal friends. The gang once again takes on a series of whodunits rooted in the small town of Crozet, Virginia in A HISS BEFORE DYING (Bantam Hardcover; On Sale May 30, 2017). This contemporary mystery explores the issue of wild animal poaching through the lens of a historical narrative—America’s post-revolutionary past. There’s nothing like a well-told tale, and no one does it better than world-renowned Rubyfruit Jungle author Rita Mae Brown. With more than 7.5 million copies of her books in print, New York Times bestselling author Brown has established herself as a household name. 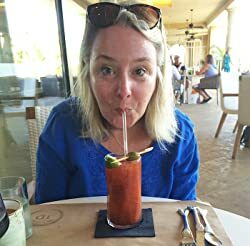 It’s her charm, humor, and knack for crafting a killer thriller that keeps her fans engaged and entertained time after time. 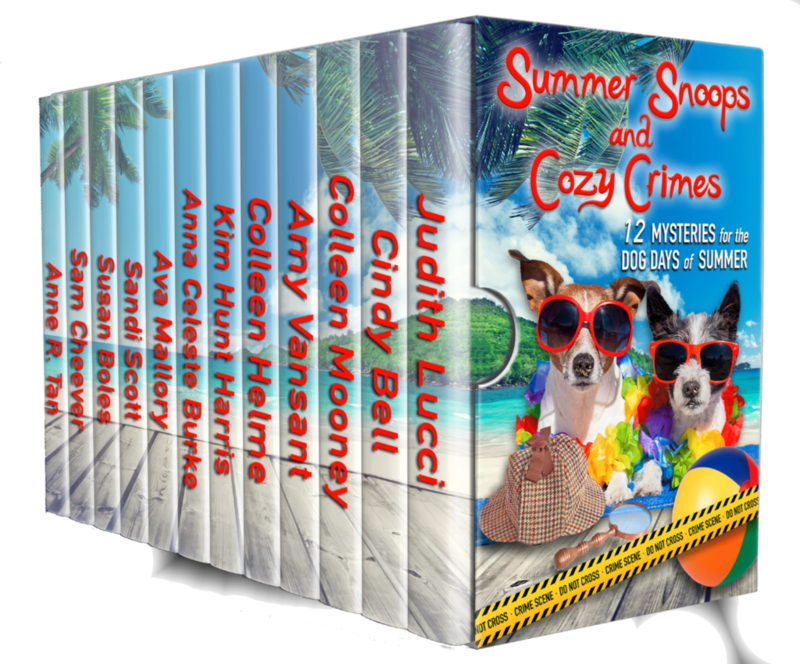 RITA MAE BROWN and SNEAKY PIE BROWN, a tiger cat rescued from the local SPCA, have collaborated on twenty-sixth Mrs. Murphy mysteries, and they are involved in many local events to raise money for animal shelters. Rita Mae also writes the “Sister” Jane Arnold Outfoxed series and the Mags Rogers series and has authored the memoir, Animal Magnetism. 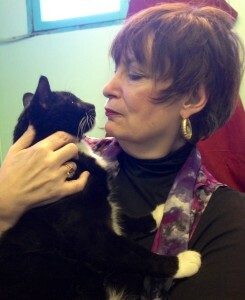 She and Sneaky Pie live with many other rescued animals. Rita Mae is now writing, CRAZY LIKE A FOX (On Sale 10/17/17). What are you waiting for? Go get this pawsome book today, and contact my author Debbie at debbiewriter@yahoo.com (or comment on this blog) if you would like us to feature your Mew Release or a guest post. Meow, there. It’s Sneaky with some mews for all my pawsome readers. I am planning to start two new columns on this blog for pet readers and writers. 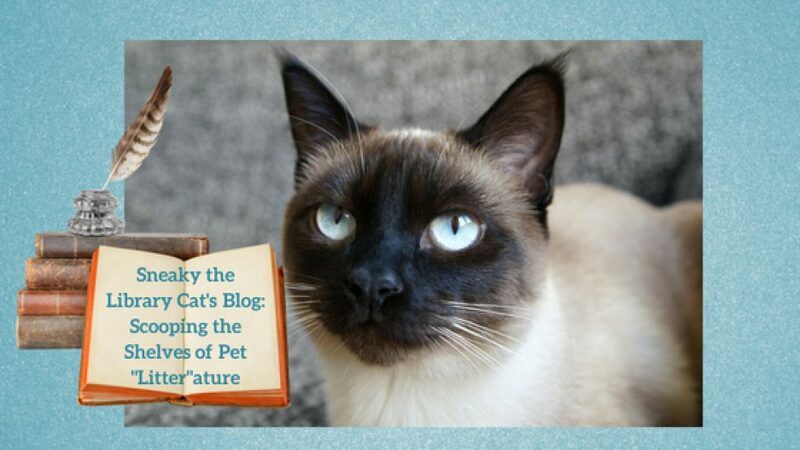 The first will be my “Mew Release Spotlight” where I will feature new pet books. If you are an author who writes any pet-related book either fiction or non-fiction and have an upcoming release, I would like to include your book in this section. All I need is a cover image of the book, some details about it, and a short bio about you, the author. My other new column will be “Purrfect Picks” where I will accept reviews of new pet titles by authors and/or readers. I just need a brief review along with a paw rating (1 to 5 paws), 5 paws being the highest rating. I will also be contributing to this column, so if you would like your book reviewed, please let me know. I’m a busy kitty, but I will try to fit in what I can. No need to send me review copies (unless they are paperback) because my paws have trouble with e-Readers. Luckily, I live in the library and usually can get my paws on hard copies. I’m also still interviewing pet characters and sharing Feature Friday Films usually of cats doing cute things. If you have any other suggestions on what you’d like me to add to this blog, please submit a comment or email my author at debbiewriter@yahoo.com. I am proud to announce the first book in my Mew Book Spotlight. If you are a cat author or write about cats and have a new book coming out, send me the info, blurb, release date, and cover photo before the 1st of the month in which it is publishing at sneakylibrarycat@gmail.com. I will select one book a month to be in the Mew Book Spotlight. Description: Makin’ Biscuits is a compilation of candid, personal anecdotes from cat lovers across the globe that delves in the feline psyche to unlock some of the greatest cat behavior mysteries of all time, such as why do cats zoom from one room to another for no apparent reason? With story submissions from well-known celebrities, musicians, cat behaviorists, authors, everyday people and more, some stories will have you laughing out loud, some will tug at your heart, and some will leave you scratching your head in puzzlement. Along with the entertaining peek into the feline mind, Makin’ Biscuits is also a serious book with an important message on proper pet responsibility and is filled with well-researched advice, tips, and solutions to help guardians ensure their cat lives an optimally happy and healthy life befitting his feline nature. With a special Foreword from bestselling author, Gwen Cooper of Homer’s Odyssey, the ultimate goal of Makin’ Biscuits is to help make the world a better place for cats by busting outdated misconceptions, such as that they’re too aloof to make good pets, and to enlighten the reader with easy to understand information to help enhance the feline-human relationship and correct certain common behavioral problems that often land a cat into a shelter—such as litter box issues or scratching furniture. Secretary – Pawsitively Humane, Inc.